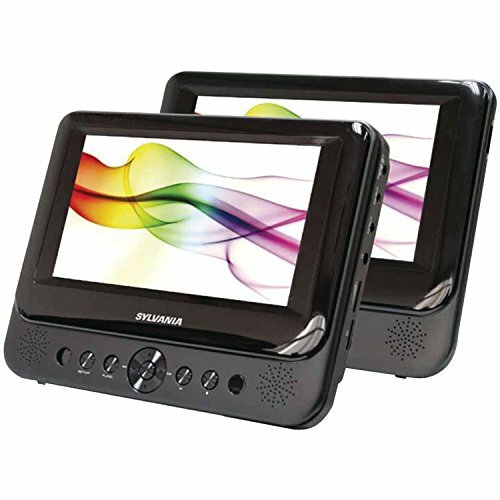 When one screen isn't enough, this dual-screen portable CD player lets you share the viewing. Two widescreen 7'' 16:9 TFT color displays stop arguments before they happen. DVD, DVD+- R/RW, CD, CD-R/RW, MP3 and JPEG playback give this device great versatility.